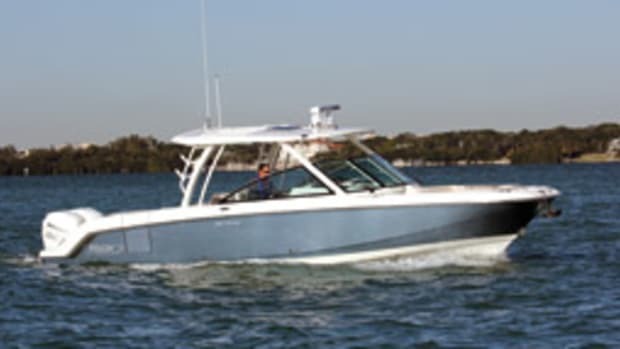 The Boston Whaler 285 Conquest has launched with a number of improvements from the boat it replaces, the 280 Conquest, including better visibility from the helm deck, a full windshield bonded to the hardtop, comfortable and convertible companion seating, and some nifty cockpit bench-seat options. 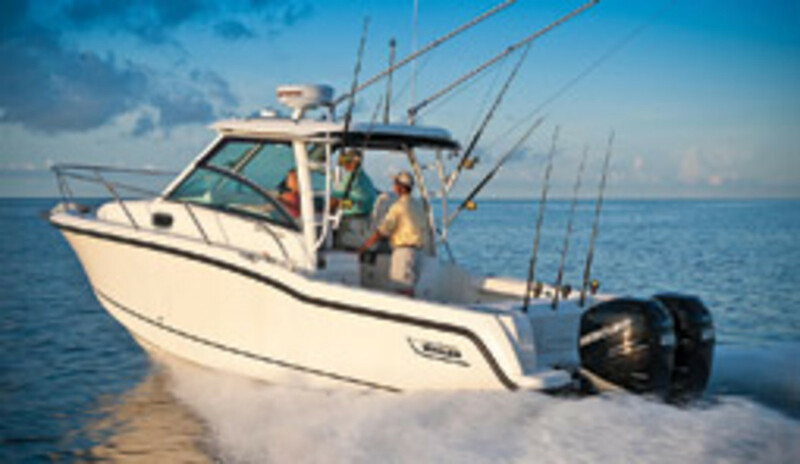 Whaler offers the boat in three helm deck configurations: an open model with the full windshield and low-profile side windows, a version with full side windshields and a drop-down aft curtain, and a pilothouse version with a full hard enclosure. 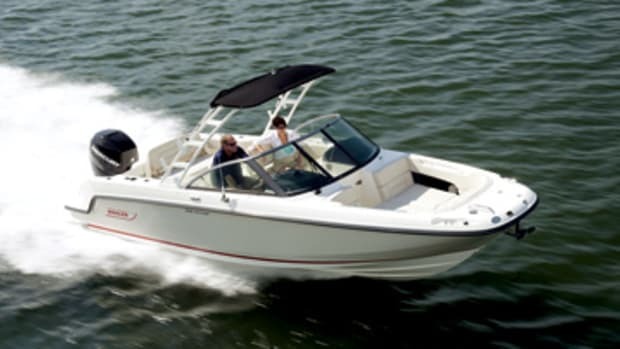 Customers wanted a comfortable forward-facing companion seat instead of an inboard-facing settee, says Berman. 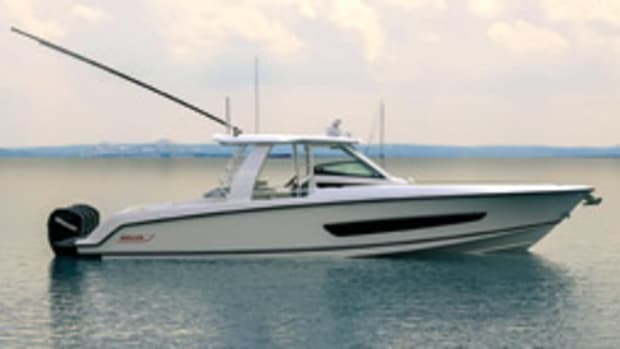 The builder delivered on this — it also converts to an inboard-facing settee — and there’s an aft-facing seat with a slide-out footrest abaft the companion seat. 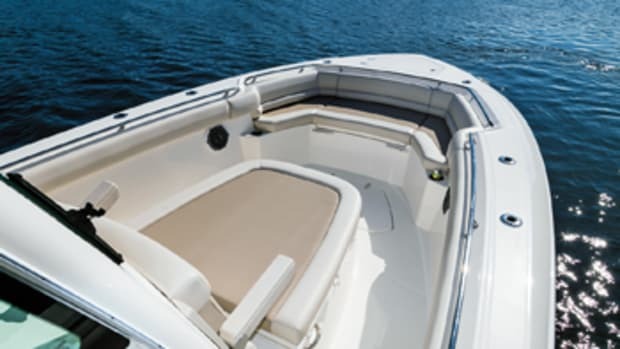 Optional padded benches flip down from recessed areas of the gunwales. 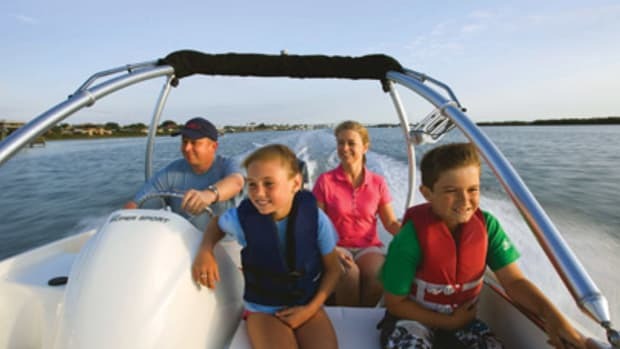 The boat has a V-berth, galley, head and midcabin. 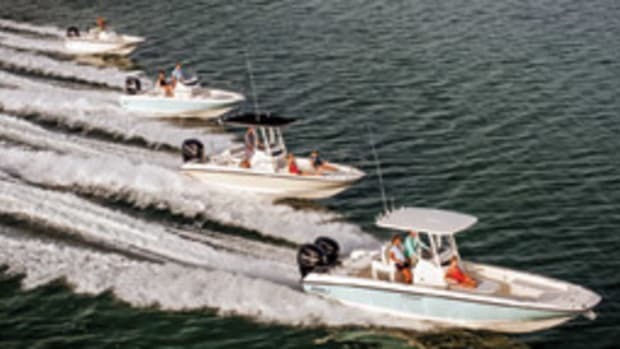 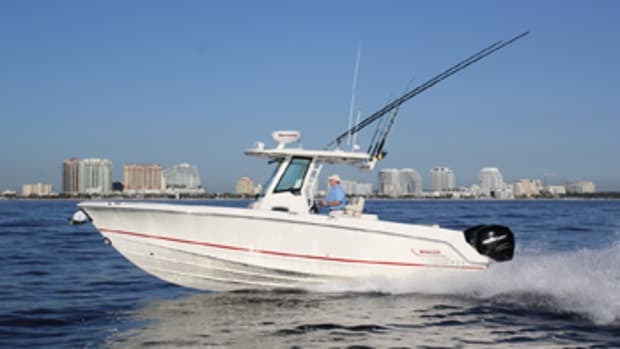 Click here to find more Boston Whaler boats.